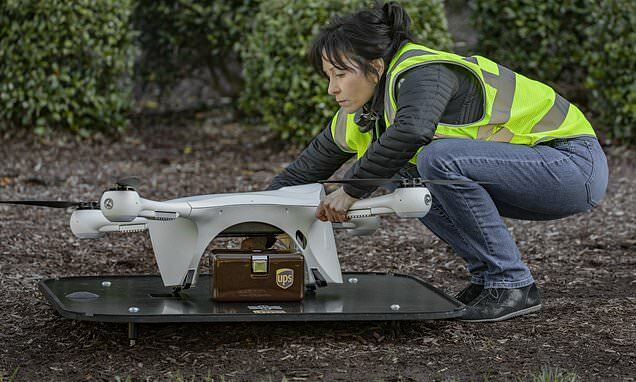 UPS will leverage drones to deliver medical samples in the first FAA-backed and continuous commercial deployment of drone technology in America. According to UPS, an autonomous drone -- Matternet’s M2 quadcopter -- will travel between locations at WakeMed's campus in Raleigh, North Carolina, flying distances of up to 12.8 miles along a fixed, pre-determined route. Currently, the samples are delivered on the ground via courier cars, says UPS, making the shipments susceptible to road traffic. The use of drones will both increase efficiency and lower costs, the company says. While the drone is autonomous, UPS says the flight will still be monitored by a special pilot who will ensure that the vehicle arrives safely at a fixed landing pad.